Whether we are ready or not, the automotive industry, as it looks today, is going to look vastly different in a decade or two. Even if the promise of a fully autonomous future never pans out, we are guaranteed to see more and more of our vehicles with components of autonomy designed to make driving easier. We’re already seeing vehicles sold to the public that assist the driver with parallel parking and warn us or take corrective action if we start to veer into another lane. The more optimistic among us can even envision a future where we gather around the other occupants in the car, living room style, while the vehicle automatically drives us to our destination. When we hear of autonomous vehicles, this is, perhaps, the image that most often comes to mind. And with that imagery comes ideas of space-age materials that make our cars lighter and more pleasing to the eye. But no matter how futuristic our methods of transportation become, steel will always have a place in this version of the future. If you don’t believe us, look no further than consumer preferences. According to a study commissioned last year by the Steel Market Development Institute, the new study finds Americans in the market for a new vehicle continue to trust and prefer steel as the automotive material of choice. A majority of customers surveyed believe steel to be preferable to aluminum when it comes to durability, strength, and safety. As we think about future mobility and how it’s going to impact our world, we remain confident steel will always have a place. With that in mind, here are four ways steel will play a significant role in future mobility. Sustainability is going to weigh heavily on the minds of future generations when they decide which vehicle they want to lease, buy, share or rent. Whereas we are just starting to understand the effect vehicles on the road today have on our environment, we are only going to become more knowledgeable about our impact so that future manufacturing choices lead to a smaller footprint. The fact remains that steel is the most environmentally friendly material you can build into a car. For every kilogram of steel produced, 1.9 kilograms of greenhouse gas emissions are emitted. Compared to aluminum, which produces 8.9 kilograms of greenhouse gas emissions per kilogram, steel is far and away the better option, but sustainability of steel goes beyond emissions. The ability to recycle steel, both at the beginning and end of production, gives it a massive advantage over other materials. Steel can be disassembled and shredded when its automotive usefulness is complete and turned into almost any grade of steel imaginable, with minimal alloying. What was once a piece of a car can be turned into everything from pipes and bridges, to panels for dishwashers and refrigerators, giving steel life beyond the automobile. Aluminum recycling is a trickier beast to slay because it needs to be sorted into like alloys or grades. For instance, aluminum cans can be recycled into…aluminum cans, but typically not automotive sheet metal. It takes seven times more energy, as well, to take aluminum ore product and turn it into aluminum metal than it does to turn iron ore into an iron product. In a perfectly functional autonomous world, there will be no crashes because all of the cars on the road will communicate with each other. As we all know, there is no such thing as perfect. The cars of tomorrow are going to get dinged up and dented because we are still a long way from a fully autonomous future. So, automakers and vehicle owners – especially fleets – need to invest in material that can withstand regular contact, while keeping the cost down. Car-sharing services like Maven and Zipcar are going to become more of the norm, but they will still be driven by humans. As the vehicles spend more time on the road, the fleet owners will want to ensure, to the best of their ability, that the vehicles spend more time on the road and less time in the shop getting repaired. Steel provides the best durability option to ensure there is as little downtime as possible. These savings, which can be realized in the form of lower insurance costs and less money spent on repair, can be passed on to the consumer. Whether or not that happens is up for debate, but steel gives manufacturers the durability they desire when choosing the ideal material for their products. If premonitions about our self-driving future come to fruition, the cars of the future will act more like living rooms on wheels than the current models we know and love today. When (if) this happens, car designers will have to make major structural changes to the vehicles. Most experts think the center pillar will be removed to improve access in and out of the vehicle as well as accommodate a family, or small group, that wants to sit comfortably and play board games while their car whisks them away to their intended destination. Thanks to steel, designers can give occupants the same peace-of-mind they would get in a car with the center pillar. Steel’s strength and formability allow for more flexibility in designing a door ring with no center pillar, without compromising occupant protection. On top of that, steel’s superior acoustic performance to aluminum gives passengers a quieter cabin, which results in a more pleasurable ride experience when they want to hear what the person across from them is saying. If you think certain vehicles have a larger blind spot, you are not imagining things. Some automakers have already demonstrated the ability to execute thinner windshield pillars to allow more visibility, as we saw a few years ago with the Acura NSX. This boost in visibility would not have been possible with any other material. Engineers took advantage of steel’s strength and formability to design slimmer yet complex geometries for the windshield pillar and roof side rails as one continuous strong piece. Advanced high-strength steel, which is used in many vehicles today, can make the car body structure stronger, while lightening the weight of the vehicle at an affordable cost. We also see the advantage of strong and thin when it comes to battery packs in cars with electrification. Since advanced high-strength steel applications can be designed more efficiently than, say, with aluminum, a battery pack structural enclosure made of steel can house more batteries and, thus, allow the car to go farther on a single charge than if the battery casing was made out of aluminum. When you design with aluminum, the part section size grows, which means less space for the batteries. While aluminum and carbon fiber get the buzz associated with the future of transportation, it’s advanced high-strength steel that provides the most practical solutions to how we will travel on the roads in the coming decades, and it will remain that way for some time. Until something more cost-effective and sustainable comes along, steel gives us the best path forward to a world that embraces future mobility. Future Mobility will be front and center at the 2019 North American International Auto Show in Detroit, and the Cobo Center show floor won’t be the only place for attendees to see vehicles of the future. Just off the main exhibit floor on the Cobo concourse, attendees will have a chance to experience first-hand what autonomous vehicles may look and feel like in the near future through the Steel Market Development Institute’s (SMDI) Virtual Reality Experience. The technology making it possible for autonomous (or self-driving) vehicles to find their way is only part of the story. According to World Auto Steel and the “Future Generation Passenger Compartment-Validation” presentation from Great Designs in Steel Presentation, steel is the material of choice for automotive manufacturers for a number of reasons, especially for self-driving cars and trucks. The fact is, as the popularity of autonomous vehicles grows, performance, value and occupant protection will become even more critical. Steel will play a leading role in all those aspects. For one, the use of advanced high-strength steel (AHSS) gives engineers many options in terms of safety, convenience, occupant comfort and cost savings. You’ll see AHSS provides exceptional strength so the center, or B-pillar, of a vehicle can be removed. This makes it a lot easier for occupants to enter and exit a vehicle. Once they’re inside, advanced high-strength steel provides such a strong and stable structure, passengers will find their ride quieter and a lot more comfortable because noise, vibration and harshness (NVH) is greatly minimized. Steel will also provide automotive engineers an easy way to design for additional safety! According to World Auto Steel and ArcelorMittal, the technology we mentioned at the start, like sensors and batteries, is also better protected by steel’s strength and, because AHSS is lighter and thinner, there’s more room for additional batteries – which means traveling further on a charge. The lighter weight also leads to improved fuel economy, according to SSAB. Your Virtual Reality Experience will also show you how steel is beneficial for the environment since it’s the most recycled material in the world and, compared with competitive materials, has the lowest emissions during production, according to the Steel Recycling Institute and World Steel Association. In all, SMDI’s Virtual Reality Experience will let you see first-hand the self-driving vehicles of the future and why steel will make them stronger, safer, more comfortable and more efficient, while protecting the world where we’ll be driving in them. Be sure to follow @DriveUsingSteel on Twitter for all the breaking news from the NAIAS show floor. What vehicles are you most excited to see? Tell us in the comments below. When shopping for a new car, truck or SUV, the ultimate goal is usually the best combination of price, safety, performance and value to meet your needs. This is a perfect time to understand the significant role high-strength steel plays in today’s vehicles. If you’re already a savvy shopper who looks for high-strength steel on the dealership floor, you’re not alone. There’s a reason more than half the consumers surveyed by an independent research firm said steel was the most important material in their vehicle’s frame or body structure. And 43 percent said they would be less likely to buy or lease a vehicle from automakers who replaced steel with aluminum. There’s simply no other automotive material delivering value to consumers like today’s modern high-strength steels. Safety matters above all else. It’s the most important quality today’s consumers look for in a car, truck, crossover or SUV. It’s why automakers are quickly transitioning from traditional steel grades to advanced high-strength and ultra-high-strength steels, to cocoon drivers and passengers in unprecedented strength and safety. When looking at safety, it’s important to ask questions about what kind of steel forms the “skeleton” of the vehicle you’re considering. Has the automaker used the most modern and strong steel grades in features such as the pillars, which must withstand the vehicle’s weight in a rollover, or the door beams bearing the brunt of a T-bone collision? In an accident, what’s between you and potential harm? In addition to safety, the strength of today’s modern steels allows automotive designers to create roomier vehicles with more flexibility to provide better visibility for both drivers and passengers. When comparing new vehicles, pay attention to the strategic use of steel, which allows for bigger windows, smaller pillars, more spacious cabins and less obstructed sightlines. This is one of the areas where alternative materials, such as aluminum, fall short. Designers have to use more aluminum to meet the strength of advanced high-strength steels, meaning they “bulk up” areas where designers who work with the latest steels can create slimmer designs without sacrificing strength or protection. For drivers who care about their environmental footprint, there are numerous options to consider – and many of those go beyond fuel economy. Powertrains, vehicle size and other various factors can make an impact. When it comes to vehicle materials, the most environmentally friendly option is steel. Today’s higher strength steels mean vehicles need less steel to accomplish the same environmental goals by reducing the total volume used in a vehicle. When it comes to recycling, nothing beats steel’s existing recycled content, its ability to be recycled repeatedly and indefinitely with no loss of performance, and the existing nationwide infrastructure ensuring every steel vehicle can and will be recycled. The ideal scenario is a low cost of ownership, combining fuel efficiency and low repair costs with no expensive insurance requirements. If you’re purchasing a new vehicle, you want to be confident it will last a long time and ultimately retain its value as a trade-in. 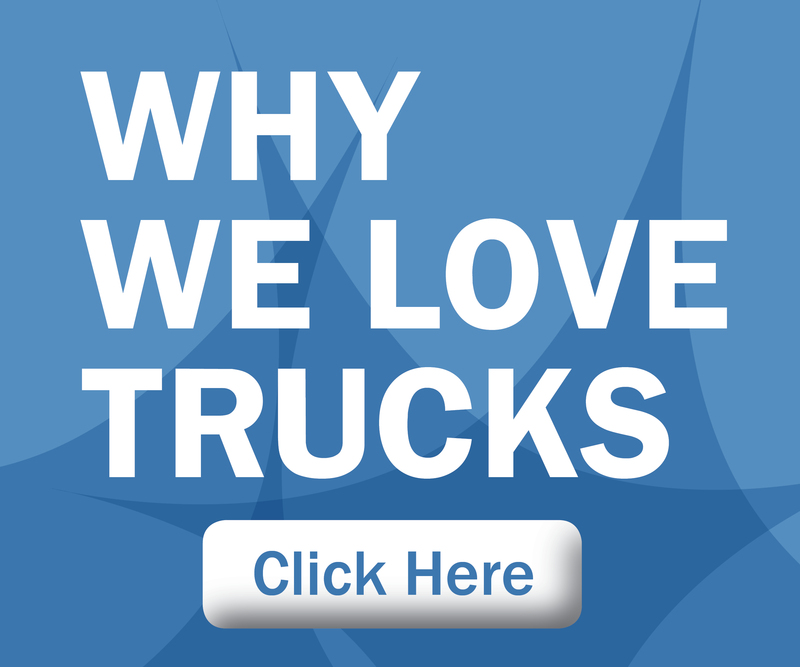 If you’re looking for value, you should be shopping for a steel-intensive vehicle. Today’s advanced steels help provide unprecedented fuel efficiency through vehicle weight reduction without sacrificing safety. Virtually every auto body repair shop in the country can repair a steel vehicle with confidence. It’s not necessary to search for specialists to repair more expensive body materials, or to potentially pay higher insurance premiums to cover those repairs. You can also trust strong and resilient steel vehicles to last longer on the road, perform to your demands and maintain value. What criteria do you consider when shopping for a new vehicle? Let us know in the comments below. When it comes to automotive steel, two groups of experts are working together to enhance the state of the art for driver and passenger safety. Both emergency first responders and auto body repair professionals respect and value how modern automotive advanced high-strength steels (AHSS) and ultra high-strength steels (UHSS) have improved the safety of today’s cars and trucks. Technological advances in steels and design have made vehicles safer in a collision. They have also changed many of the long-standing techniques and practices for fire and rescue professionals who save lives at accident sites, as well as the body shop personnel who ensure vehicles are safely repaired before getting back on the road. This can range from changes in strategy to entire new toolkits. Both body shops and first responders have had to upgrade their tools to handle AHSS and UHSS. This can include reciprocating saws, air chisels and hydraulic rams, spreaders and shears. SMDI works with Moore, who authored the widely used textbook, “Vehicle Rescue and Extrication,” to get the best perspective on how AHSS and UHSS are changing the way rescue personnel interact with vehicles when extrication is necessary. Moore trains fire, rescue, EMS and law enforcement personnel across the nation on how to safely rescue and extricate drivers and passengers from vehicles of all kinds. He’s also shared his expertise with automotive repair personnel, explaining how emergency personnel operate an impromptu “body shop in reverse” on the side of the road in an emergency situation. The basics of extrication are a constant, Moore explains. Rescue personnel need access to the people inside the vehicle, room to work on them in place, if necessary, and a path for safe removal of all involved. This can range from the standard “door job,” as taking a door off the car is known in the fire rescue community, to removing instrument panels, roofs or pillars, forcing compartments open and more. Where there has been crushing, bending or folding of vehicle structures, putting occupants at risk, rescue personnel can either move or remove those parts of the vehicle based on the requirements of the specific situation. The materials involved factor into this decision on the scene, as some tactics such as door frame spreading with a portable hydraulic ram, which worked in the past with traditional steel body structures, may fail when AHSS or UHSS are involved. In general, Moore calls modern AHSS-intensive vehicles a “tougher opponent” for rescue personnel thanks to the strength of the materials they’re now working against, often in a race against the clock. While the increasing crashworthiness of vehicles means fewer extrication jobs, the new strength of the materials they’re modifying means, “when they are trapped, we have more work to do,” explains Moore. “It’s becoming the norm for side-impact collisions with people trapped inside to remove the B-pillar altogether, and increasingly we’re ‘making the car a convertible’ by taking off the roof,” he explains. In the past, spreaders could move B-pillars far enough out of the way for most access needs, but the strength built into modern AHSS-intensive B-pillars means they are so hard to bend out of the way rescuers find it easier to cut through three sides and then use a spreader to bend it out of the way, if not remove it entirely. High-strength steel and advanced high-strength steel are used in the 2018 Honda Odyssey’s A, B and C-pillars, roof rails, front and rear rails and front subframe, allowing the vehicle’s cabin structure to better manage front, side, roof and rear collisions. Additionally, many traditional techniques involved “crush-then-cut” of stamped steel components. With the advent of AHSS, crushing became so difficult to accomplish, techniques evolved to rely more on cutting through AHSS and UHSS assemblies which were designed to ensure occupant safety by resisting crushing-type forces. The new 2019 Ram is the strongest 1500 to date, featuring 54 percent high-strength steel in the cab and more than 98 percent high-strength steel in the frame. The use of high-strength steel in the frame enables noise-, vibration- and harshness (NVH) reduction measures, weight savings of nearly 225 pounds and greater rigidity for improved handling and durability. The inaugural Lightweighting World Expo took place Oct. 9-10 at the Suburban Collection Showplace in Novi, Mich. The event was sponsored by Lightweighting World magazine, a resource for the latest technical breakthroughs, applications, trends and initiatives for lightweight vehicle development. Dr. Jody N. Hall, vice president, automotive market for SMDI, was invited to give the keynote address on the second day of the expo. 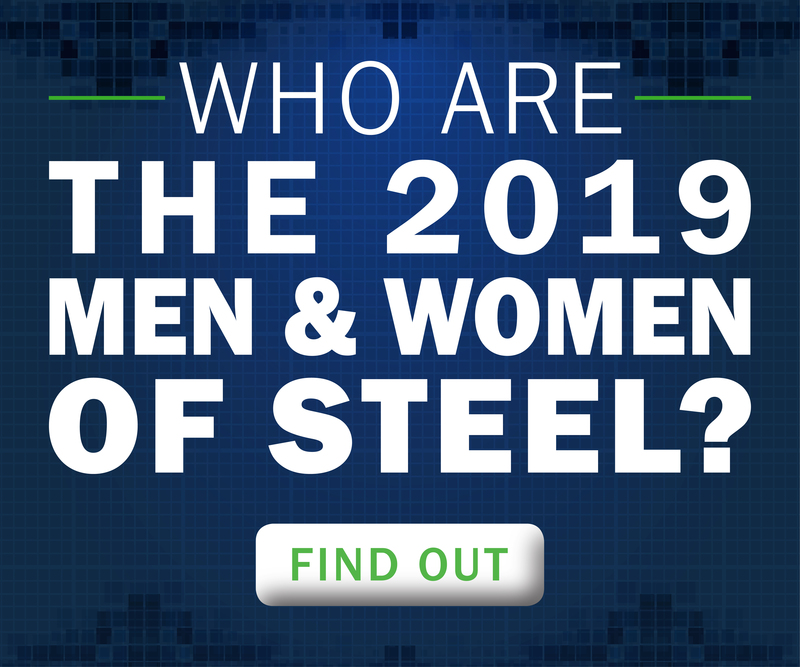 In her presentation, titled “The Strength of Steel in the Automotive Market,” Dr. Hall discussed steel’s evolution in the automotive industry, collaboration between steel companies and automakers, steel’s role in future mobility and more. She went on to talk about the tremendous innovation in steel as a result of the collaboration within the automotive industry, giving way to more than 200 grades of steel today. Diving further into the benefits of collaboration, Dr. Hal specifically highlighted World Auto Steel and the AISI/SMDI Auto/Steel Partnership as leading excellent examples how steel companies and automakers to achieve a mutually beneficial goal and provide outstanding research and innovation. The projects they have completed have revolutionized the industry, such as the FutureSteelVehicle (FSV) project completed by an alliance of steel companies from around the world. The findings and results were implemented by many automakers just three years after completion of the project – the short timeline is proof collaboration leads to success. Dr. Hall’s complete presentation can be downloaded here. Were you in attendance at the Lightweighting World Expo? Comment below on your favorite part of the inaugural event! Autumn is a time when we prepare for the cold winter to come. To keep yourself safe and comfortable on the road this winter, take some time to make sure your car, truck or SUV is ready for the challenges it will face in the months ahead. With more than 200 grades of advanced high-strength steel (AHSS) available to automakers, they can use the right grade in the right application for exceptional occupant protection and durability, but continued maintenance is still critical. Now is the time to handle deferred maintenance, before you find yourself on the side of a snowy road, wishing you’d taken care of it earlier. You may not even know what you’ve been putting off longer than you should, so check your owner’s manual for recommended service intervals. You may be conscientious about your oil changes, but what about items such as air filters, oxygen sensors, power steering fluid and other, longer-interval maintenance requirements? As the grades of AHSS have evolved over the decades, it is being used more frequently in chassis and suspension applications, aiding in vehicle handling capabilities. When was the last time you had your suspension and alignment checked? If possible, combine it with a tire safety check and rotation. During winter months, all of these contribute to critical handling capabilities. Make sure your windshield washer reservoir is full, so you don’t find yourself peering out a frozen windshield during a surprise storm. As long as you’re thinking about your windshield, it’s probably been a while since you replaced your wiper blades, which are often recommended to replace every six months. Make sure you get the correct ones for your vehicle; not all wiper blades are sized and shaped the same. Is your battery ready for winter? Check your owner’s manual for maintenance instructions, especially if it’s more than five years old. Temperature impacts how well batteries work, and a battery that functioned perfectly all summer long can fail suddenly in cold weather. If you don’t already, start getting in the habit of filling up your gas tank at half-full or earlier rather than when it nears empty. While running out of gas is a serious inconvenience in nice weather, it can be much more dangerous in cold winter months. As always, your dealership or local certified car care professional can help you make sure your vehicle is ready to handle the challenges of winter travel. Tell us in the comments below – how do you prepare your car for winter driving?